Yesterday evening, DJ Forrest performed for a veteran cheerleader of his FAVORITE team… The Houston Texans! 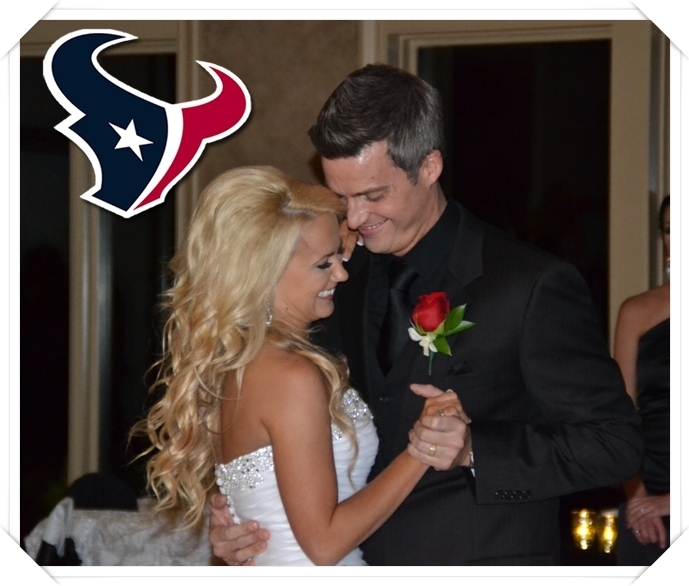 Below you will find a full video montage that includes introduction, garter bouquet, synchronized songs, and more! The event took place at the lovely Royal Oaks Country Club, and the evening went off without a hitch. DJ Forrest has performed for Rockets Powerdancers and Cheerleaders in the past, so he knows just what to play to ensure the perfect party 🙂 GOOOOOOOOOOOOOO TEXANS!! !